It is a tricky question, with almost an even split among plan participants as to with whom they would maintain their allegiance. 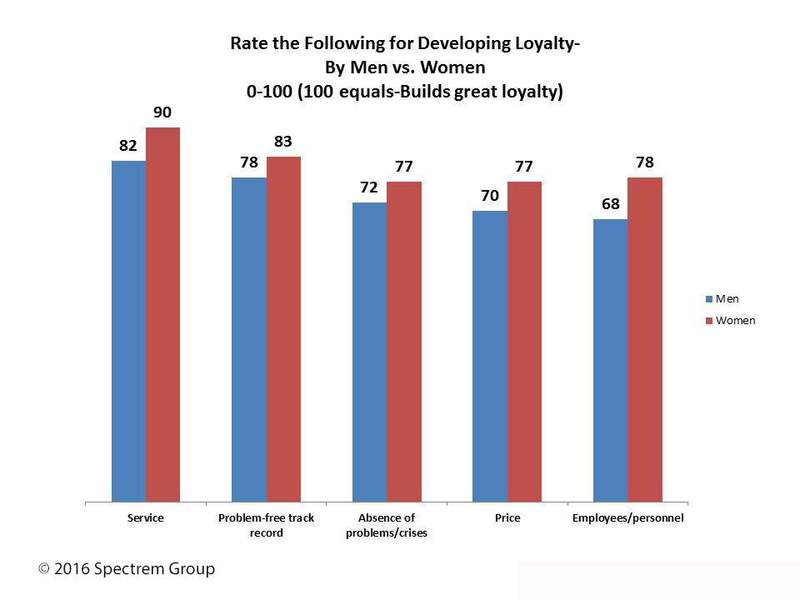 Four-in-ten report they would be more loyal to the company, while 38 percent said they feel more loyalty to their advisor. An analysis by age suggests that advisors or providers should hold their Gen X clients--ages 35-49—close. They are the only age demographic that expresses more loyalty to their individual advisor than to the company for which that advisor works (43 percent vs. 39 percent). Seniors ages 65 and up express the strongest allegiance to the company for which their advisor works (58 percent vs. 29 percent), while Baby Boomers are basically split on the question (38 percent vs. 36 percent). Millennials, too, indicate they are more loyal to the company (44 percent) than they are to a person within the company (38 percent). This may be a reflection of their age. They might not have the same amount of time invested in the relationship with the advisor, making the choice to stay with the firm more attractive to them. Interestingly, Millennial DC plan participants are more likely than older generations to profess they are “not very knowledgeable” about financial products and investments. Female DC plan participants give greater consideration to these, as well as other factors (including proactive contact), than do their male counterparts. One reason for this may be they are not as confident in their financial knowledge. They are much more likely than males to self-report that they are “not very knowledgeable” about financial products and investments (41 percent vs. 21 percent of males). Male DC plan participants, on the other hand, are twice as likely as females to self-report that they are “very knowledgeable” (17 percent vs. 8 percent of females). This is reflected in their tolerance for risk. Roughly six-in-ten female DC plan participants identify their risk tolerance as “moderate” compared to 49 percent of males, whereas males are more likely to term their risk tolerance as “aggressive” (26 percent vs. 20 percent of females). Not surprisingly, female DC plan participants are significantly more likely than males to report they are loyal to their financial advisor (65 on the 0-100 scale vs. 57 for men).  Service is the No. 1 driver of loyalty. Spectrem Group research finds that not returning phone calls or e-mails in a timely manner is the No. 1 reason most investors switch advisors.  The loyalty expressed to the company provides opportunity for plan providers to develop greater relationships with plan participants. This will allow them to retain rollovers upon retirement and perhaps attract additional assets from these households.